with Black and Red powder coated finish. 0.8mm industrial cold rolled steel construction. 2 Full height cupboards with 4 shelves. 3 Overhead cupboards with gas struts. drawer mats and central locking system. 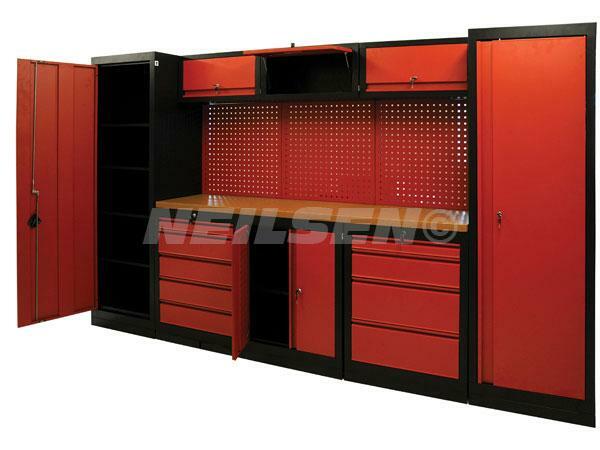 Central cabinet with 1 shelf and lockable doors.